This is a great wooden combi camel because it comes with a rocking base so it can be used as a rocking toy and also has wheels so it can be used as a ride on toy, 2 in 1. We have carefully selected this delightful camel for its ingenious design and sheer quality. 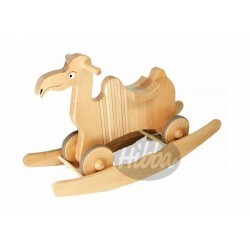 The camel has a flexible wooden body which bends to allow the child to steer the camel. 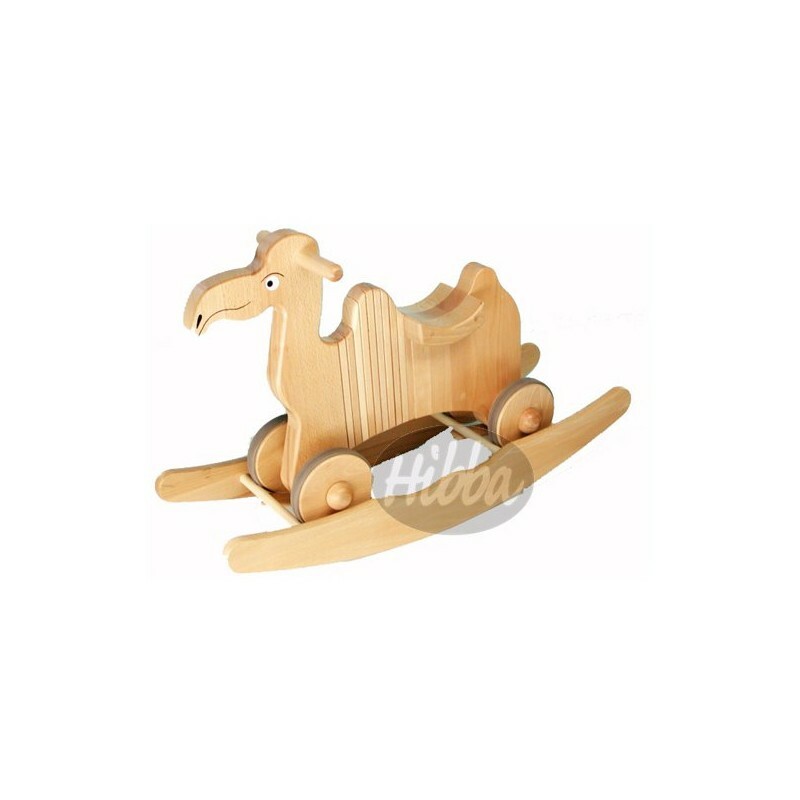 The wooden camel can be taken off the rocking base in order that it can be used as a ride on toy for fun riding around the house. The camel has a lovely friendly face and will become best friends with your child. Crafted by hand by our master craftsman, this wooden camel has been finished to an exceedingly high quality and specification. The wood used is beech and is from sustainable resources. This combi rock and ride toy is very distinctive with a lovely soft sheen finish and is individually made with attention to detail and quality, which makes this a special and distinctive gift. Dimensions: 74cm long, 25cm wide, 32cm height to seat.